Stunning cluster home - the best of both worlds - first floor living with bonus rooms, bath and loft on second floor. Located on a private cul-de-sac. Open and spacious layout with lots of natural light, vaulted ceilings and updated neutral decor with beautiful wood floors. Gorgeous open kitchen with granite counters, ample Kraftmaid cabinets, breakfast bar and breakfast/sun room. Formal dining room with tray ceilings. Family room boasts full wall of windows for natural light, plenty of floor space plus featured gas fireplace. First floor master bedroom has glamour bath, double vanity, soaking tub and separate shower. Large first floor laundry and half bath. Private second floor with huge loft area, 2 additional bedrooms, full bath plus a walk-in attic for extra storage. Need an exercise area, hobby area or just want more room â expand the full basement, ready to be finished with egress window. Association fee includes landscaping and snow removal. 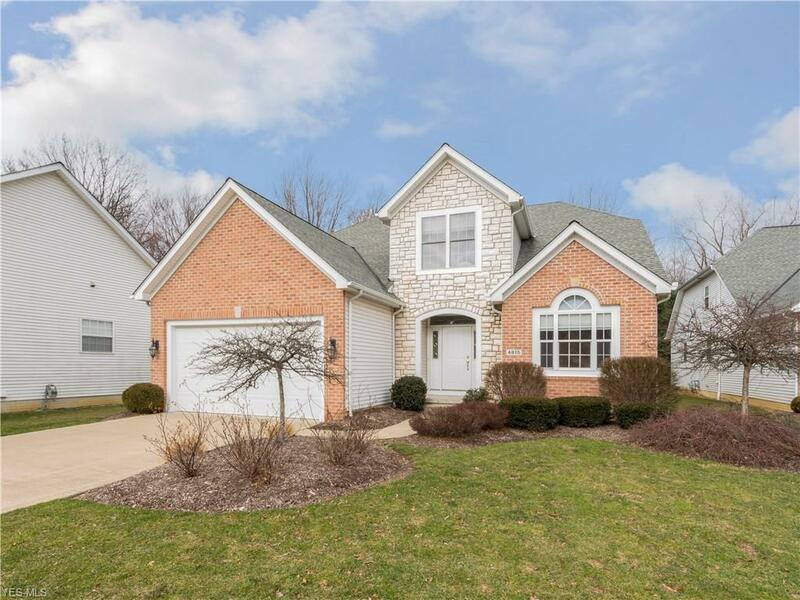 Fantastic location close to Crocker Park, Bradley Woods, I-90 and I-480. Call now for private viewing!